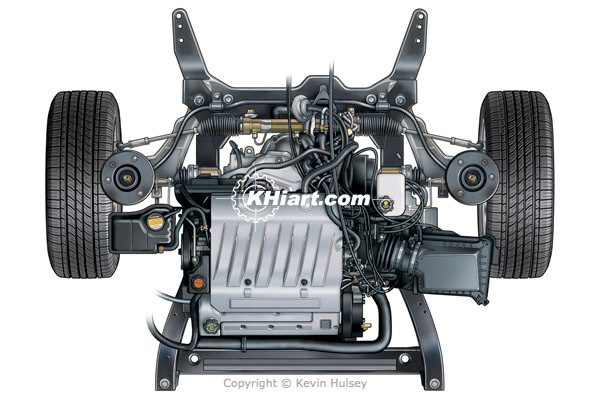 This image shows a heavy-duty chassis and driveline from a large sport utility vehicle. This portfolio contains illustrations of car chassis frames and undercarriages, suv and truck chassis frames, car sub-frames and chassis components. 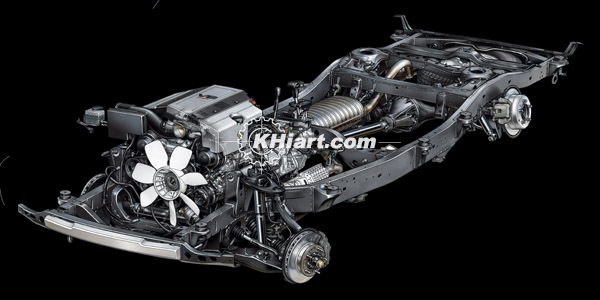 This aerial-view illustration shows a typical chassis from an SUV. this ground-view illustration shows a chassis frame, suspension and driveline from a typical pickup truck or sport-utility-vehicle. These two sectioned diagrams illustrate a truck's i-beam frame construction with double-wall gusseting and structural reinforcements. The luxury 4-door sedan image above illustrates a German car driveline and rear wheel drive chassis seen through a line drawing of the exterior body. 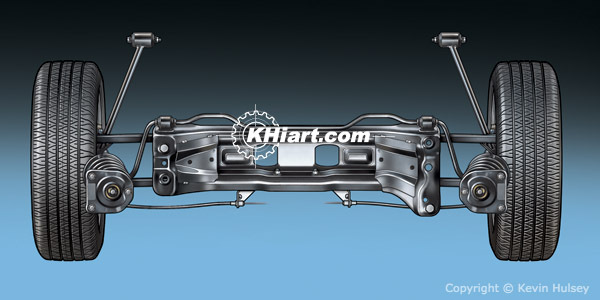 The overhead view illustration above shows a car's isolated cradle sub-frame and rear suspension unit. The illustration above shows an i-beam ladder-frame truck chassis with leaf-spring rear suspension and a fixed solid axle. This image also shows sound-deadening floor panels and insulation. 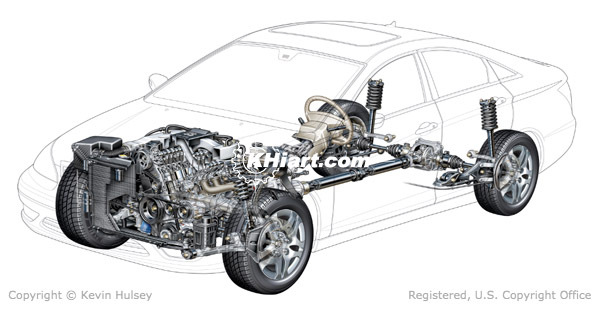 This top view illustration shows the FWD cradle frame chassis and V8 engine from a typical front wheel drive passenger car. 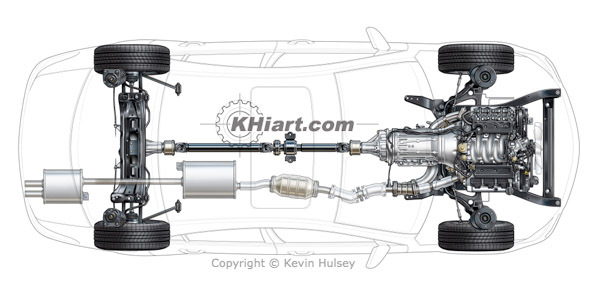 This image also shows the rack-and-pinion steering unit and suspension. This high 3/4 view illustration shows a chassis and driveline from a typical modern passenger car.